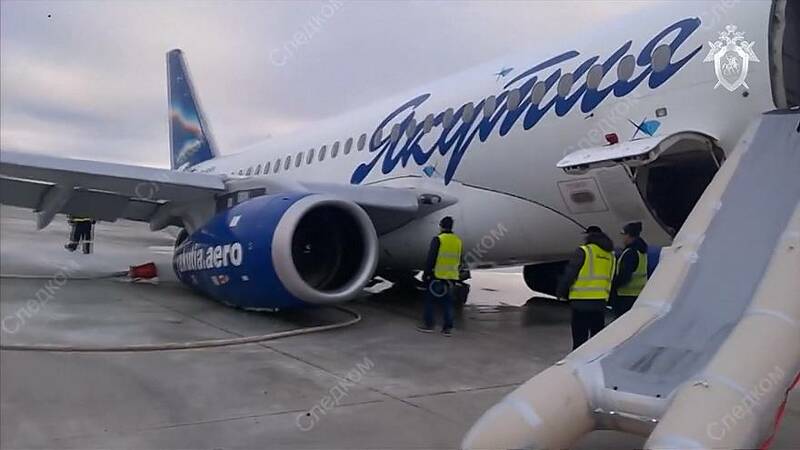 A Sukhoi Superjet 100 plane came off of the runway during landing in Yakutsk early on Wednesday (October 10). No serious injuries were reported from among the 91 passengers and five crew members on board making flying from Siberian city Ulan-Ude, Russia's civil aviation watchdog Rosaviatsiya said in a statement. Ice on the airport's runway is being considered as cause for the incident, TASS news agency cited a Yakutia air source as saying.